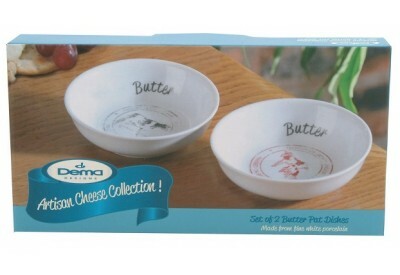 The Dema Designs Artisan Cheese Collection set of 2 Butter Pat Dishes are made from fine white porcelain. These generous sized set of 2 butter pat dishes are ideal for serving butter. 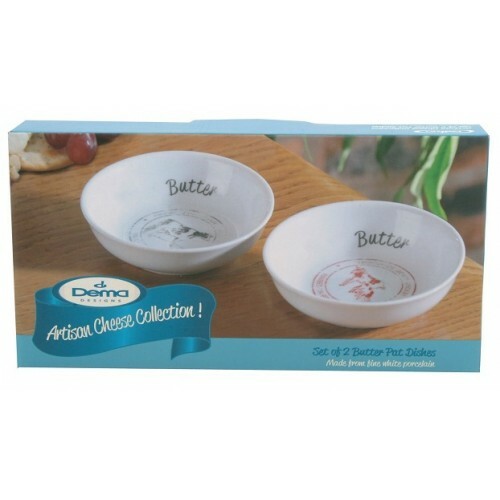 Made from super white porcelain with a traditional cheese marking design. The dishes are microwave and dishwasher safe.